Enquiring about the affordable Killara air conditioning taken on by the electrical company, Sequence Communications and Electrical? Want to know if emergency repairs and replacement are carried out too? In addition to the regular domestic electrical services, upgrades, repairs and replacement our other quality domestic services include laying of telephone cables, wiring, rewiring and also switchboard installations for both older and newer homes, fault finding, safety checks, fixing safety switches, data cabling, voice-based network installations etc. For the commercial and industrial sector, we carry out extensive industrial repairs and commercial repairs. Our contractor carries out ongoing inspection and testing, lays electrical cable systems, voice and telephone cabling and fibre optic cabling, affordable air conditioning installation Killara, air con installations and air conditioning service Killara. And all of this is taken on by our reliable air con installers. In addition, electrical testing and tagging, regular inspections and testing, breakdown services of any kind, setting up office and commercial fit outs and any type of emergency electrical services are all carried out by us at Sequence Communications and Electrical. 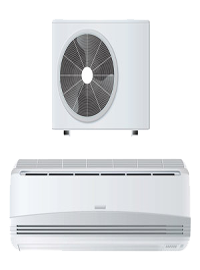 "Be it, air conditioning installation Killara by air con installers, commercial repairs and quality services, call, Sequence Communications and Electrical at 0418 139 999 or (02) 9913 9999 or email us at peter@sequence.net.au."